Nintendo has to do something against piracy, and unfortunately, the collateral damage is that homebrew initiatives are impacted too. Now don't get me wrong, I buy my games for DS, which is no big deal since there's hardly more than 10 titles worth owning (and DSiWare won't change that obviously). While I don't feel the need to "chip" my Wii for the same reason above, it is convenient for a portable console like DS/DSi to have all the games and emulators in a single cartridge. DSi firmware upgrade 1.4 came up and blacklisted most linkers. I decided, this time, that I'd spend a bit more time to choose a future-proof one, something with an upgradable loader for instance. 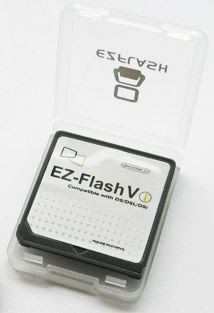 All those cards look the same at first, but by browsing on EZ-Flash website, I had the impression of a very active community with a decent web site, FAQ, wiki and dedicated forum. Not to mention, of course, my main motivation: since August 2009, their firmware update defeats the newly implemented Nintendo protection. 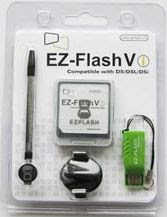 So my new acquisition from DX shop is the EZ-Flash Vi (around €15.-). The card I actually received is the black one with its black packaging which is probably from an older batch (I'm pretty sure I selected a white card in a clear plastic blister on the web site), but, well, I'm not picky as long as it does what I expect from it. When unpacking the card, the first visible particularity is that part of the electronics protrude from behind the sticker. Again, I'm not difficult if the card actually inserts fine in the console. I was prepared with the latest Kernel 1.90 "openbeta11" (just a ez5sys.bin file and moonshl folder to copy on a microSD card) and the firmware file "ez5firmwreUP_V14.nds" (also going on the memory card). Turning the DSi on, instead of a EZVi icon, the card is actually represented by the icon of the game "Tak: The Great JuJu Challenge - THQ" (trick to bypass the DSi black list). The loading is quite longer than I'm used to, mostly because Moonshell is part of the operating system. First thing I did was to launch the firmware file, but it was not needed and confirmed that the linker was already at version 12. This is a good thing for people who already upgraded their DSi to 1.4. Before being completely operational, I needed to do one more thing which was not needed with the previous linkers: clean up the content of my microSD card. Nothing tricky: the save files must go into a SAVE folder, the cheat files must go into a CHT folder (support for both CHT/EmuCheat and ARDS/ActionReplay format), the nds can stay in the root. The loading time for programs is somewhere between the slower DSTT and the fastest R4 (Formatting the microSD memory with a SDcard formatter is recommended for best performance). Some titles would require the DMA mode, and a few titles would lock with particular cheats activated. I guess all that is subject to improvement with future updates. What makes this card unique is that it plays most popular video (AVI, RMVB, DIVX, MOV, MPEG, FLV, 3GP, ASF, WMV) and audio formats (mp3, wav, aac, wma) out of the box. This card is designed with a dedicated high-performance decoder chip inside with enough power to decode smoothly and on-the-fly! This unique capability also makes the iPlayer one of the most expensive of its class: around 36$. iPlayer is now compatible with DSi firmware 1.4 since they released the firmware 1.06. This information is not yet updated on DX web site. One point also worth mentioning: the iPlayer will be able to self upgrade its firmware even if you DSi is already at fw 1.4. It will detect the DSi error message "An error has occurred Press and hold the POWER Button..." and start the update process. It is vital at this stage not to turn off the console and give it the 2 minutes needed for the operation to complete. 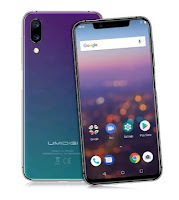 The user interface is particularly nice and clean, but that's the least you can expect from a card of this price, there's an interactive demo of it on the product web site. 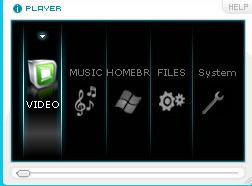 If you want to turn your DSi into a decent multimedia player that also runs homebrew software, this linker will be your choice.